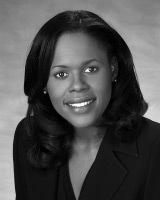 Charlena Thorpe has solid experience representing clients in high-stakes, technically and legally complex patent litigation matters such as multiparty, multipatent infringement disputes in district courts and the U.S. International Trade Commission (ITC). Charlena’s patent litigation experience is complemented by her patent prosecution experience in successfully drafting and prosecuting patent applications to issuance in a variety of technical areas in the electrical engineering field. Charlena obtained her patent drafting, prosecution, and litigation experience from the patent-specialty law firms of Finnegan Henderson Farabow Garrett & Dunner, LLP and Sughrue Mion PLLC (formerly, Sughrue Mion Zinn McPeak & Seas, LLP) and from the general practice law firms of Alston & Bird LLP and Sutherland (formerly SutherlandAsbill & Brennan LLP). Charlena also worked in-house as Senior Patent Counsel for a global communications technology company gaining valuable insight into the business considerations surrounding the practice of law. Although individuals and businesses desire to protect their new products in the arts and sciences, they want to do so without unnecessarily draining their revenues. Yet, quality legal service provided by experienced and competent attorneys is an uncompromising requirement. The Law Office of Charlena Thorpe understands these concerns. After over ten years working at large and mid-size law firms, Charlena Thorpe formed her own practice to provide quality legal services at competitive fees to help businesses and individuals acquire intellectual property protection. The Law Office of Charlena Thorpe is committed to providing quality legal services in a responsive, practical, flexible, efficient, and cost-effective manner. Charlena also worked in-house as Senior Patent Counsel for a global communications technology company gaining valuable insight into the business considerations surrounding the practice of law. Charlena was elected in 2006 to the Fellows of the American Bar Foundation and is a lecturer at the School of Public Policy at the Georgia Institute of Technology, where she teaches a course on intellectual property and technology law, policy and management. Charlena received her J.D. from Emory University School of Law in 2000 where she served as president of the Emory University School of Law Intellectual Property Society for three years. She received her B.E.E., with high honors, from the Georgia Institute of Technology in 1994 and was elected to the Tau Beta Pi National Honor Society and the Eta Kappa Nu National Electrical Engineering Honor Society. Charlena also was awarded the prestigious National Science Foundation Graduate Research Fellowship and received her M.S.E.E. from Georgia Tech in 1995. While pursuing her graduate studies, Charlena worked at the Massachusetts Institute of Technology Lincoln Laboratory in Lexington, MA performing research in the area of digital signal processing of radar images and Motorola, Inc. in Libertyville, IL performing research in the area of integrated circuit design. Charlena is registered to practice before the U.S. Patent and Trademark Office as a patent attorney and is admitted to the bars of the U.S. District Court for the Northern District of Georgia, Supreme Court of Georgia, Court of Appeals of Georgia, and the state courts of Georgia. Charlena is a member of the Intellectual Property Law Section of the State Bar of Georgia. She also is a member of the American Bar Association Section of Intellectual Property Law where she is Vice Chair of the Computer and Internet Legislation Committee and Chair of the Subcommittees on Reexamination Proceedings and KSR for the Patent Litigation Committee. Served as lead associate to lead outside counsel in patent infringement case involving embossed in register laminate flooring for one of the leading worldwide producers and distributors of flooring products. Developed noninfringement contentions for national wireless telecommunication provider in a multiparty, multipatent litigation patent infringement case involving Ronald A. Katz Technology Licensing, L.L.P. Served as lead associate to lead outside counsel for a global media and technology company in various multiparty, multipatent infringement cases involving cable television set-top boxes, satellite television services, and consumer electronics. Served as lead associate to lead outside counsel for one of the world’s largest generic pharmaceutical companies in a patent litigation case resulting from the filing of an abbreviated new drug application with the FDA (ANDA litigation). Successfully prosecuted patent applications to issuance in a variety of technical areas in the electrical engineering field. Represented the world’s leading mobile phone supplier and a leading supplier of mobile and fixed telecom networks in ITC litigation. “Improving Federal Court Adjudication of Patent Cases: A Legislative Proposal for Change” presented at 2007Biotechnology Industry Organization (BIO) International Convention in Boston, MA. “Protecting and Commercializing Innovations in Energy Efficiency and Renewable Energy” presented at IEEE SouthEast Con 2009. “Litigating Multi-Party, Multi-Patent Patent Cases: Challenges, Considerations, and Solutions to Litigating Multi-Party, Multi-Patent Patent Cases” presented at the ABA’s 24th Annual Intellectual Property Law Conference in April 2009 in Arlington, VA.
“The Ethics of Patent Prosecution” presented at the ABA’s 24th Annual Intellectual Property Law Conference in April 2009 in Arlington, VA.
“Extrinsic Evidence in a Post-Phillips World” for West Legalworks Patent Claim Construction 2008: The Advanced Legal Forum. “A Primer on Patent Law: What Engineers Should Know About Patent Law” presented at School of Electrical and Computer Engineering (ECE) at Georgia Tech (February 2007) and Georgia Tech’s IEEE Student Branch Student Professional Awareness Conference (2008). “Trademark Dilution Revision Act of 2006 Signed Into Law”; Global Intellectual Property Asset Management Report newsletter (November 2006); Intellectual Property & Technology Law Journal (January 2007). “Securing Legal Protection for the Innovations of Start-Up & Small Companies”; MIT Enterprise Forum of Atlanta Newsletter (August 2003).